...is the rest of the world's delicious irony. 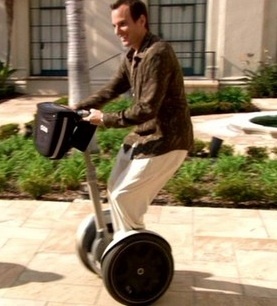 In an excercise in shadenfreud, the owner of Segway Company died in a freak Segway accident. "A trick is something a whore does for money... (pause to look at the children) or candy." The freak accident naturally involved riding off of a cliff. Tragic. Tragic and hilarious in a horribly German sort of way.